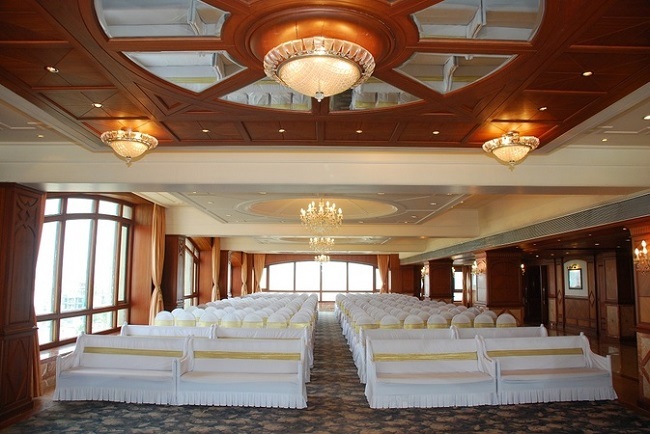 This banquet hall in Andheri has understated décor in earthy tones and can be decorated to suit a classy wedding. It has an upper and lower deck, a sparkling pool and a lush garden area. The rooftop at Goldfinch is just as good for a bachelorette party at sunset. 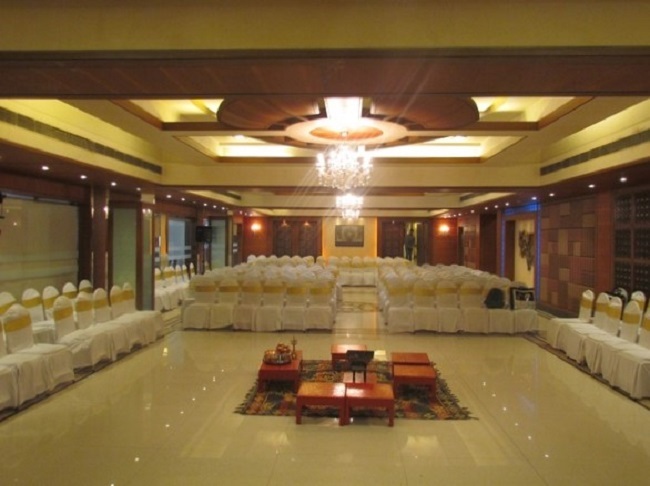 This banquet hall in Malad West offers three spacious banquet halls and a terrace area for grand weddings, pre-wedding ceremonies, receptions and other social events. The in-house caterers whip up an array of delicious dishes for your special day and treat your guests to a delectable feast. Flag's Avant Garde, Andheri has pillar less banquet halls that provide an unobstructed view of the ceremonies in progress. The banquet offers lavish world-cuisine menus that cater to every kind of palate — whether you're looking for pure vegetarian, Jain or non veg specialties - you imagine it, they have. Aiming at guest satisfaction, Kohinoor ATC, Dadar, is located at one of the prime places of the city. The magnificent decor and beautiful interiors of this banquet hall in Dadar give it a unique touch. These features make it perfect for hosting grand weddings that would be talked about for years to come. 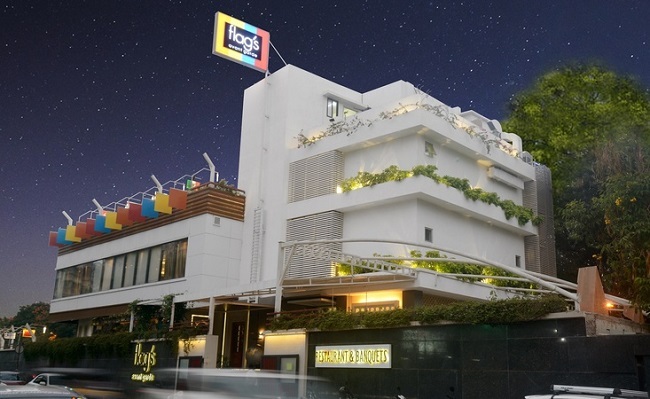 Hotel Kohinoor Park, situated near Siddhivinayak Mandir, is in the heart of the city and features a homely ambiance with all the modern amenities. Lavishly decorated and specially created for theme parties, DJ parties and pre-wedding and wedding functions, Hotel Kohinoor Park is an ideal venue. One of the most sought-after venues in the vicinity, Kamal Amrohi Banquet has sprawling lawns attached to a plush banquet hall. 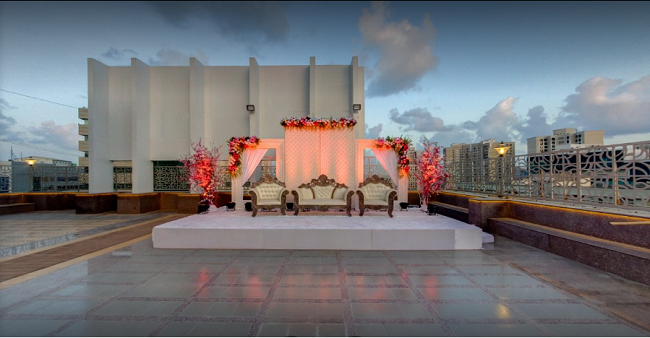 With all these facilities and more, the venue promises to make your wedding event a memorable one. 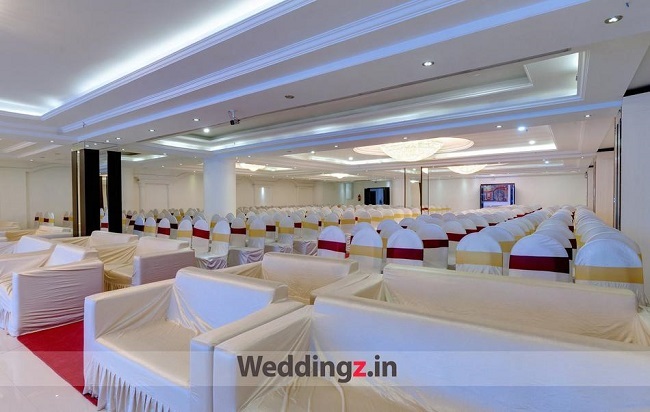 Grand Celebrations, Mulund West, Mumbai, offers fully Air-Conditioned banquet halls ideal for wedding purposes as well as engagements, shagun, receptions and all other rituals of a wedding. The Celebration Sports Club has a multi cuisine restaurant and bar that adds charm to the crowning glory of the club. Celebration Sports Club has the best banqueting facilities with a choice of premium banqueting areas, combined with perfect ambience at the heart of city in Lokhandwala. FM Banquet has decorative ceilings with inverted pyramid glass chandeliers and classy interiors that can adapt to a host of décor options. 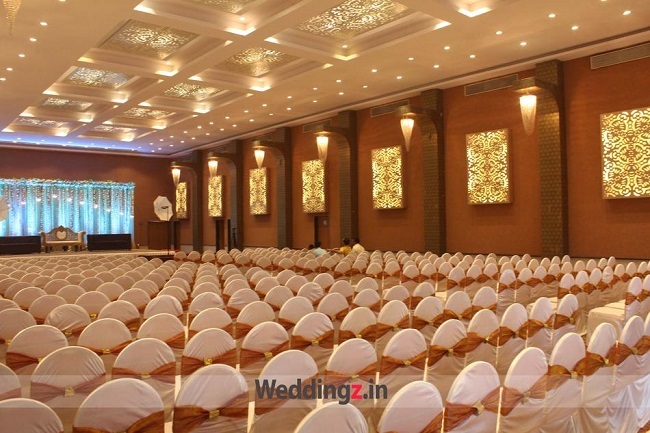 A suitable wedding banquet hall in Goregaon West, FM Banquet, also has a professional team of decorators on board who can deck up the space and make it look stunning on your big day. 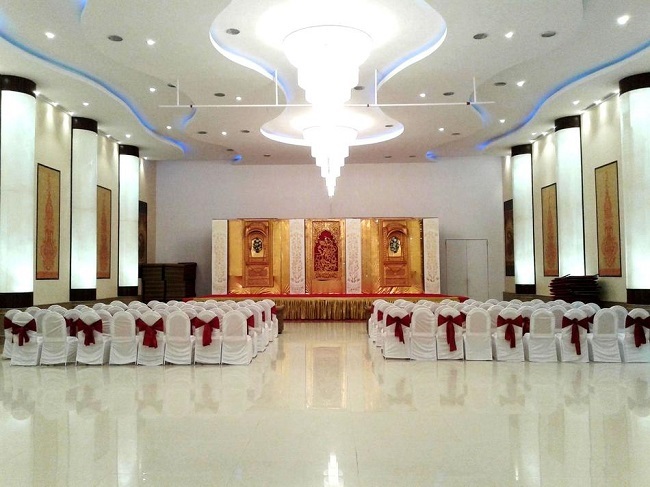 Dreams Banquet is one sought after banquet hall in Bhandup that offers multipurpose banquet halls for all your wedding functions and is spacious enough for a grand wedding. 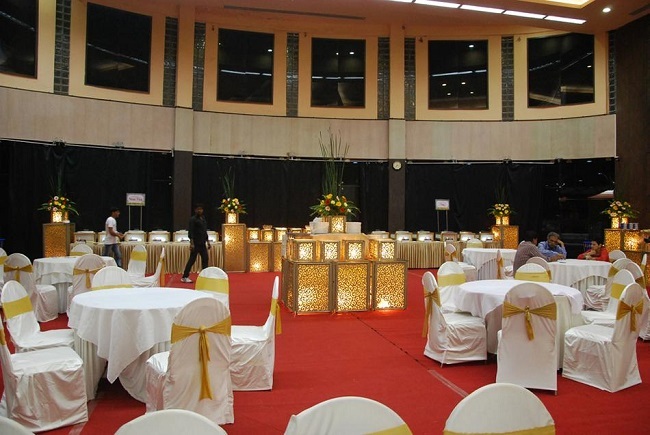 Beautifully decorated banquet halls provide the perfect backdrop for your special occasion. Well known for its cuisines and impeccable hospitality, Dreams Banquet, Bhandup makes sure it serves you the best.